When will be We the Fans: Section 250 of Soldier Field next episode air date? Is We the Fans: Section 250 of Soldier Field renewed or cancelled? Where to countdown We the Fans: Section 250 of Soldier Field air dates? Is We the Fans: Section 250 of Soldier Field worth watching? In We the Fans: Section 250 of Soldier Field, we follow the the lives of Chicago Bears season ticket holders in Soldier Field's Section 250. Experience the game from the perspective of this band of true believers. Fans in Section 250 are a family, bound by faith in the Bears and one another. Win or lose, it's a place to be, to belong. In We the Fans: Section 250 of Soldier Field we follow the the lives of Chicago Bears season ticket holders in Soldier Field's Section 250. Experience the game from the perspective of this band of true believers. 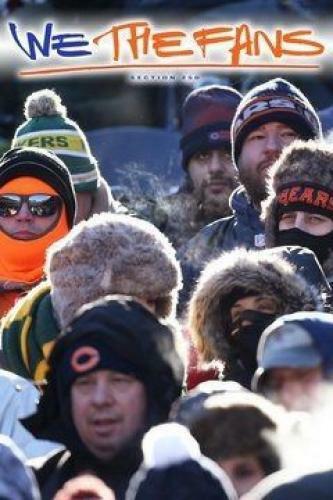 Fans in Section 250 are a family, bound by faith in the Bears and one another. Win or lose, it's a place to be, to belong. We the Fans: Section 250 of Soldier Field next episode air date provides TVMaze for you. EpisoDate.com is your TV show guide to Countdown We the Fans: Section 250 of Soldier Field Episode Air Dates and to stay in touch with We the Fans: Section 250 of Soldier Field next episode Air Date and your others favorite TV Shows. Add the shows you like to a "Watchlist" and let the site take it from there.